Posted by shaunphilly in Culture and Society, Polyamory, Skepticism and atheism. I know, I know….I have not been keeping up with writing. The reasons for this are complicated and probably uninteresting to you, so I’ll just skip the laments and get to the goods. OK, maybe not the goods. We’re talking about Ayn Rand here! Last time, in chapter 3 (The Ethics of Emergencies), we continued with how we are, individually, the standard for our own ethic, yet somehow this is an “objectivist” ethic. This time, we are going to explore the nature of conflict in our competing interests. Um, yes. I am having some problems with this principle. So I’m hoping Rand will sort it out. A man’s “interests” depend on the kind of goals he chooses to pursue, his choice of goals depends on his desires, his desires depend on his values—and, for a rational man, his values depend on the judgment of his mind. Again, Rand is relying on this distinction between reason and whim (as we saw in all of the previous chapters, but especially chapter 1), a distinction which is not as clear as she thought, and as many people still seem to think today. The next paragraph contains this continued error, but follows with a point I agree with. Desires (or feelings or emotions or wishes or whims) are not tools of cognition; they are not a valid standard of value, nor a valid criterion of man’s interests. The mere fact that a man desires something does not constitute a proof that the object of his desire is good, nor that its achievement is actually to his interest. Again, I disagree that desires, emotions, and “whims” are ontologically separate from reason. They can be different in structure, but we must be careful not to think that they come from different places; our reasons ultimately come from our desires, subjectivity, and whims, even if they actually do end up cohering with reality (the role of skepticism/science is to determine which ones actually do cohere). And, of course the fact that a person desires something is not sufficient to declare that it is good or in their (rational) interest. To claim that a man’s interests are sacrificed whenever a desire of his is frustrated—is to hold a subjectivist view of man’s values and interests. Which means: to believe that it is proper, moral and possible for man to achieve his goals, regardless of whether they contradict the facts of reality or not. Which means: to hold an irrational or mystical view of existence. Which means: to deserve no further consideration. This, once again, is simply the same type of magical thinking (a la The Secret) that she is decrying in the very same paragraph. That is, while saying that a mystical view of reality is not worthy of further consideration, she is using magical thinking and calling it rational. Also, once again, this philosophy is subjectivist to the core. Projecting your personal whims onto the wall and calling it rational, reasonable, and objective just does not work. When a person reaches the stage of claiming that man’s interests conflict with reality, the concept “interests” ceases to be meaningful—and his problem ceases to be philosophical and becomes psychological. To a philosophy geek, this looks like an homage to Logical Empiricism, but whether Rand was familiar with this or the closely related idea of logical positivism is not clear. I do find it interesting, however, that she identifies where the conversation has left philosophy and became psychology. In my opinion, this discussion never left psychology at all. But because Rand believes that reason is ontologically (or perhaps merely epistemologically) distinct from desires, emotions, or whims, she thinks that she is actually leaving behind mere pulls of desire and flying into what? The Platonic realm of Ideas or Forms? It seems that, for Rand, to be meaningful means to be separate from mere emotion, desire, and whim. These things are subject to psychological analysis, not philosophy. Reason and philosophy are dependent on each other, in some way. I disagree on all counts. Not only is desire, whim, and emotion relevant to philosophy, but reason is relevant to psychology. Moreover, Psychology and philosophy are relevant to one-another. In any case, let’s move on. Just as a rational man does not hold any conviction out of context—that is: without relating it to the rest of his knowledge and resolving any possible contradictions—so he does not hold or pursue any desire out of context. And he does not judge what is or is not to his interest out of context, on the range of any given moment. It is with a proper understanding of this “indirectly” that the crucial social issue begins. So, since Rand has been somewhat quiet about how social issues come into play, my ears perks up (metaphorically, or course) when I read this. She continues. Living in a society, instead of on a desert island, does not relieve a man of the responsibility of supporting his own life. The only difference is that he supports his life by trading his products or services for the products or services of others. And, in this process of trade, a rational man does not seek or desire any more or any less than his own effort can earn. What determines his earnings? The free market, that is: the voluntary choice and judgment of the men who are willing to trade him their effort in return. The idea is that we achieve some things directly, by our own efforts, but so long as we are acting rationally and trading (and not sacrificing or asking others to sacrifice), then we are, as a society, achieving the indirect effects of that rationality and trade. That is, if I’m acting according to my own interests and so are you, what we achieve together is deserved, Just, and earned by both of us. 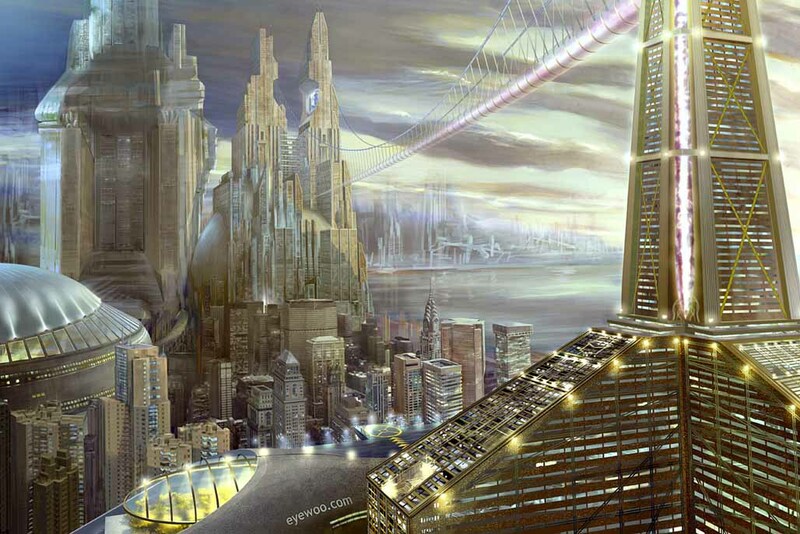 Is this the future of Galt’s Gulch? This view is so idealistic, so optimistic, and in a strange way beautiful that I really want to believe it. when I first read Atlas Shrugged, this idea did tug at a part of me. It is a compelling vision, one which shares many of my values and which looks like a world worth working for. I want to live in a world where people who value effort, responsibility, and (dare I say) fairness that this is their goal. However, when we actually look at those who argue for a free market, I don’t think this is what we get. This optimism of the human potential is not only unrealistic, but it fails to the same problems as before; separating rational interests from whims is a meaningless idea, and we merely end up rationalizing our whims and calling them “reason”. This is a kind of bait-and-switch. Show me reason and fairness then when I move closer what I get is Ayn Rand’s own personal preferences, rationalized. It bothers me that Rand was unaware of the role of bias, emotion, and privilege in how we think rationally. Even when we are thinking rationally, and using empirical means to solve problems, we must pay attention to whim and irrationality because it is part of thinking rationally (for us humans, anyway) to be swayed by emotions and whims. Logic, after all, is only a tool to apply to the assumptions, feelings, and instincts we have. In the end, logic should weed out the bad ones, but not necessarily. We cannot separate emotion and rational thought, fundamentally. We can follow the threads of skeptical thought, science, and logic to show which of our emotions, desires, and whims will lead us to a set of goals, values, etc which we want, but in the end all we will have is better emotions, desires, and whims, not some magical substance of reason pulled out of the void. Reason, rationality, and logic are processes. They are the earned title that whims get when they pass the test of skeptical analysis. Not only are they relevant to ethics, value, etc, but without them ethics, value, and all the other things that matter could not exist at all. Every rational thought, conclusion, or worldview which has ever existed is fundamentally a whim. perhaps it’s not shared by everyone inherently, but that’s how they start. The ones that survive the tests are ones worth considering. The question is which one’s pass all the tests; individual (which is where Rand stops), interpersonal (the realm of ethics), social (the realm of policy, law, and morality), and universality (the supposed role of things like religion, Platonic philosophy, and any other attempt at objective truth, but really might just be a meaningless set). I actually think that rational thought is just a specific kind of emotional experience, or at least a specific kind of subjective experience which includes emotion and rationality as part of a continuum. But it’s the kind of subjective experience which can be, with effort, sacrifice, and empathy, be shared through language and thus becomes intersubjective. The whims which can be communicated, agreed to, valued, and shared (which is what culture is) are the ones we can address as either rational or not, useful or not, or meaningful or not. But they are still whims; just not mere whims. Let’s get back to Rand. When a man trades with others, he is counting—explicitly or implicitly—on their rationality, that is: on their ability to recognize the objective value of his work. (A trade based on any other premise is a con game or a fraud.) Thus, when a rational man pursues a goal in a free society, he does not place himself at the mercy of whims, the favors or the prejudices of others; he depends on nothing but his own effort: directly, by doing objectively valuable work—indirectly, through the objective evaluation of his work by others. If I were feeling nit-picky (and I am), I would quibble by saying that we recognize the intersubjective value of work. That is, it is work that starts out as subjectively valuable, but when someone else also recognizes the worth of that work, then it becomes intersubjective. At no point here did any objective perspective (like, for example a God) come into play here. There is nothing objective about any of this. Aside from that quibble, this is all fine in general. It sounds nice, and gives the student of objectivism a warm fuzzy feeling in their chest, but it ignores the fundamental problem which I have been coming back to in this series of posts; there is a real, actual contradiction between selfishness and one’s ability to deal with other people. Our relationships are not mere trades, because to communicate and to interact is fundamentally a process which requires some level of sacrificing one’s “rational” interests. We have to give (potentially) undeserved effort to other people just to comprehend them enough to attempt to trade with them, in many cases. Yes, we can merely trade goods, effort, and money without digging into the socially structural issues involved, but we can only then trade with those sufficiently similar to us, which leads to the balkanization of social networks. If we seek to trade ideas, goods, etc with a wide range of people, cultures, etc then we need to give more of ourselves. We cannot understand our privilege, bias, or assumptions without spending some significant time putting other people’s concerns, ideas, and worldviews before our own. The very ability to have empathy, concern, or effort towards social justice of any kind is very difficult while being selfish. The only way one can agree with a position of social justice while being selfish is when the conclusion of the work of social justice happens to cohere with their selfish needs. But what happens when our selfish interests causes dissonance with the idea of social justice? Well, without giving up on selfish interest, all that can happen is self-justification, defensiveness, and rationalization for one’s place of privilege. A selfish person can parrot the conclusions, enjoy the fruits of, and march along side the empathetic social justice people, but it will be at least partially a charade (perhaps even to oneself while doing it) because the very problem of bias and privilege is founded in the selfish impulse, along with the cognitive dissonance which must accompany it. I’ve known too many people who agree with social justice conclusions, but simply miss the boat when it comes to how what they do violates social justice, whether it takes the form of misogyny, bullying, or harassment. Back to Ayn Rand. Is there any surprise that those fond of Ayn Rand look down upon social justice? Can there be any doubt that a selfish person could never be more than a poser if they espouse concern for social justice? Could such a person ever really internalize the fundamental concept of social justice outside of where the progress that such social movements coincide with their interests? It’s fine, for example, to have a person who sits on the side of social justice, so long as when it is them who is the perpetrator of some harm they don’t recoil behind a wall of defensiveness, excuses, and rationalization–if not out-right denial that they did anything wrong! And no, I’m not an exception to such criticism. We all make mistakes, an hopefully we all learn from them. But we have to first be aware that there is a problem, before we can fix anything. We all have to be vigilant, honest, and open to criticism. This criticism, like all my criticism, is aimed at specific people, humanity in general, and at myself. We’re, everyone’s, susceptible. But, I’m getting caught up in a tangent. Most people hold their desires without any context whatever, as ends hanging in a foggy vacuum, the fog hiding any concept of means. They rouse themselves mentally only long enough to utter an “I wish,” and stop there, and wait, as if the rest were up to some unknown power. The idea here is simply a continuation of her criticism that many people hold a magical view about reality in which the help that “welfare states” and such seem to want the help to come from somewhere, somehow. She makes reference to the author of chapter 2 (and some later chapters) Nathaniel Brand in saying that “‘somehow” always means “somebody. '” The implication is that if someone is needy, someone else has to help. Well, yes. But I found this to be interesting. But humility and presumptuousness are two sides of the same psychological medal. In the willingness to throw oneself blindly on the mercy of others there is the implicit privilege of making blind demands on one’s masters. Yes, the entitlement of the needy that we, the masters, should give them crumbs off our table! Not every need is a demand. Not every request for fairness is a demand. The fact that it feels like a demand to them should tell us something about them, although I don’t know exactly what. What I find interesting here is the use of the term “privilege.” I don’t know enough about the history of the social justice movement to know if this term was used in the way I use it back in 1964, but the association between entitlement and privilege is more complicated than this presentation. Sometimes, the masters take more than they should, while thinking they are taking their fair share, and what ends up happening is inequality that to the “master” looks like justice. The master works harder, hence why they are the master. They are blind to the fact that their taking more than they actually deserve creates a tension which the “entitled” person making “demands” understands better than they do. This, in essence, is a rationalization for the “Haves” to feel superior to the “Have-nots.” Not because they necessarily deserve it…but since one cannot have without deserving it (“reality”), then I suppose they do necessarily deserve it. Or something. And if one does not have it, then that’s because of “reality” as well. Thus, for those interested in social justice who ask for “handouts,” it is a demand that the masters, who are just following “reality” and understanding “context”, it would be irresponsible to give it to them because they don’t deserve it. Isn’t rationalization great! Since a rational man knows that man must achieve his goals by his own effort, he knows that neither wealth nor jobs nor any human values exist in a given, limited, static quantity, waiting to be divided. He knows that all benefits have to be produced, that the gain of one man does not represent the loss of another, that a man’s achievement is not earned at the expense of those who have not achieved it. Yes, because resources and money are not limited resources. If we all are reasonable, rational, etc then we can all be wealthy, eradicate conflict, and never have to give up on any of our interests. That doesn’t have any contradictions at all. It is only the passive, parasitical representatives of the “humility metaphysics” school who regard any competitor as a threat, because the thought of earning one’s position by personal merit is not part of their view of life. They regard themselves as interchangeable mediocrities who have nothing to offer and who fight, in a “static” universe, for someone’s causeless favor. She goes on in that vein for a while, and it’s all the same trite as before so we don’t have to address it. But then Ayn Rand says something that will sound familiar to those of us in the polyamory community. He knows also that there are no conflicts of interests among rational men even in the issue of love. Like any other value, love is not a static quantity to be divided, but an unlimited response to be earned. The love for one friend is not a threat to the love for another, and neither is the love for the various members of one’s family, assuming they have earned it. The most exclusive form—romantic love—is not an issue of competition. If two men are in love with the same woman, what she feels for either of them is not determined by what she feels for the other and is not taken away from him. If she chooses one of them, the “loser” could not have had what the “winner” has earned. Notice that she says “if she chooses one of them,”which could be taken to mean if she chooses either of them or only one of them. I do not know Rand’s views on monogamy (her books seem to espouse some sort of sexual freedom, but not polyamory per se), but this certainly leaves room for nonmonogamy. This is interesting because she seems to have this notion that values, including love, are essentially infinite. 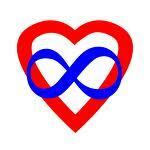 This is an idea that has persists throughout the poly community, as we can see from the infinity heart symbol which was the inspiration for the PolySkeptic logo (in combination with the Dawkins scarlet A). But she also seems to think that resources are limited. Because while love, as well as other values, may be unlimited (which is debatable), the resources for economic growth and prosperity are not unlimited, and so wealth must either be distributed (whether through planned economies of free markets) unevenly or evenly. I am not sure if Rand thought it was possible to have an egalitarian outcome of economics through her Objectivism, but what is clear is that she thinks that the level of inequality that existed then (and it has grown worse since) was Just. People have what they have because they deserve that. Now let us return to the question originally asked—about the two men applying for the same job—and observe in what manner it ignores or opposes these four considerations. (a) Reality. The mere fact that two men desire the same job does not constitute proof that either of them is entitled to it or deserves it, and that his interests are damaged if he does not obtain it. (b) Context. Both men should know that if they desire a job, their goal is made possible only by the existence of a business concern able to provide employment—that that business concern requires the availability of more than one applicant for any job—that if only one applicant existed, he would not obtain the job, because the business concern would have to close its doors—and that their competition for the job is to their interest, even though one of them will lose in that particular encounter. (c) Responsibility. Neither man has the moral right to declare that he doesn’t want to consider all those things, he just wants a job. He is not entitled to any desire or to any “interest” without knowledge of what is required to make its fulfillment possible. I don’t want to live in Ayn Rand’s world. It’s not that I think her ideal vision is ugly, per se, it’s just that her world is fantasy. She rationalizes what is a real set of conflicts by calling them deserved fruits. She is blind to the fact that rationality cannot be divorced from emotion, bias, whim, and emotion generally. She’s blind to the fact that as a result of this inability to divorce these things, she is rationalizing her own whims into “objective” reality. She’s blind to her own magical thinking, which is exactly the Just-world fallacy, which is essentially the same as victim-blaming. At bottom, again, her Objectivism is sophomoric philosophy. It’s dressed up subjectivist rationalization. It’s not stupidity but it is myopia. It sounds appealing (even occasionally to me), but all good rationalizations look good with it’s nice shiny new suit on! The Emperor has no clothes, Ayn Rand has no objective truth, and selfishness cannot be ethics The emperor’s garments , ideally, look rational, reasonable, and real but they are merely whims dressed up for a Halloween party, dressed as Reason.